1. Casa de Pilatos. It’s the prototype of Andalusian palace. The building is a mixture of Italian Renaissance and Spanish Mudejar style, and it’s considered the best Andalusian aristocratic building, providing a magnificent example of architecture of the sixteenth century in Seville. It’s currently the permanent residence of the Dukes of Medinaceli. Inside were filmed four Hollywood blockbusters: Lawrence of Arabia, 1492: Conquest of Paradise, The kingdom of heaven and the most recent, Knight and Day, starring Tom Cruise and Cameron Diaz, shot in 2009. 2. Church of San Ildefonso. Located in the square of the same name, it’s a temple whose construction began in 1794 to be completed in 1841, designed by Julian Barnecilla, carried out by another famous architect: José Echamorro. 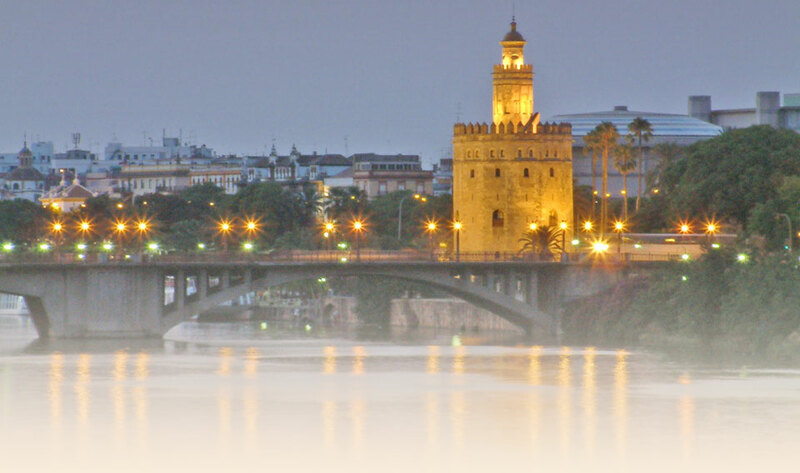 Belongs to the neoclassical style, typical of that time and owns a special monumentality, within the historic center of Seville. In our hostel we also manage the ticket sales for a great flamenco show, which takes place at El Palacio Andaluz. Don’t miss this opportunity if you want to go to the best flamenco hall in the country, in which all styles are performed: bulerias, cante, solea, alegrias, fandango, sevillanas, seguiriyas, caracoles and classical Spanish dance. The best and most complete flamenco show in an incomparable setting. El Palacio Andaluz offers two shows a day: at 7 pm and 9:30 pm, with a duration of 1 hour and 30 minutes. You also have the option of dining a la carte or choose menus for groups, or simply drink a glass of your favorite beverage while enjoying the best artists, flamenco cantaores and bailaores.